When your engine light turns on, bring your vehicle to us at MINOOKA Collision Center. We offer a range of jobs to complete your oil change or wheel realignment. 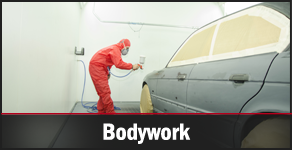 With our bodywork and auto painting services, your vehicle will look like it just came off the lot. Our technicians match your exact color for a flawless appearance. After you've been in an accident, bring your car in for a full vehicle repair from MINOOKA Collision Center. At our auto body shop in Minooka, Illinois, we service all foreign and domestic vehicles. As the area's first full-service collision center, we have spent more than 30 years helping customers throughout the area. We have never had an unsatisfied client. Whether you need your frame straightened or your bumper painted, our technicians take care of it for you for an affordable price. We stand by our work, and offer free repairs if you are unhappy with your outcome. 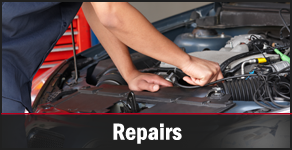 Contact us or stop in to our repair shop to request an estimate for your services.